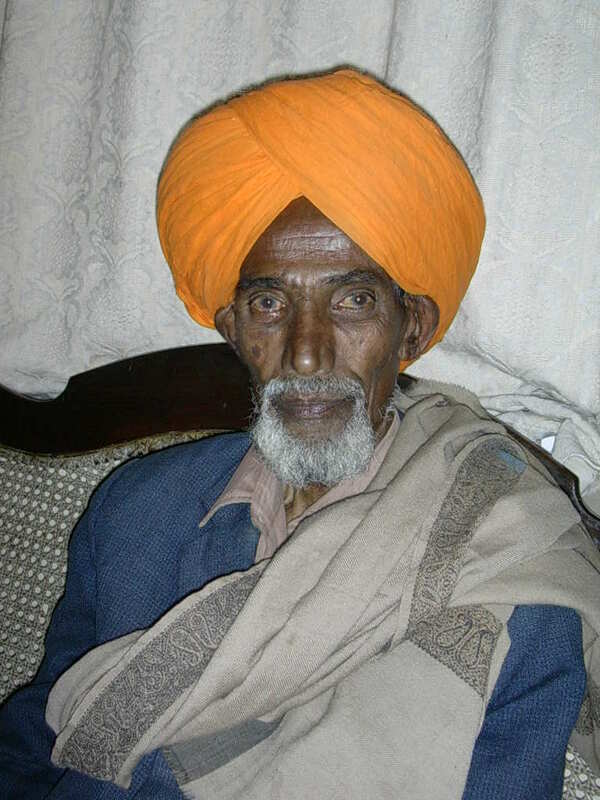 The picture of a Badaga Man [see the Badagaru Seele he has wrapped around that has distintive borders and has not changed in centuries ]. 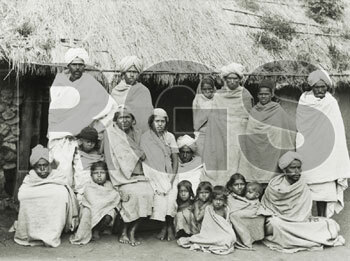 The title of this pic(1919) on ebay sale “<strong>A badaga with four wives</strong> “. Really ?? 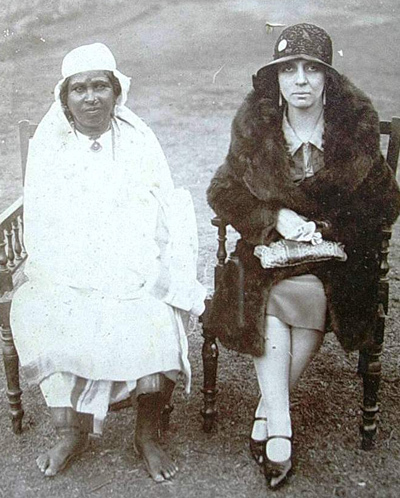 Rao Bahadur Bellie Gowder’s wife Mrs. Nanji Hethe with the wife of British Governor of Madras in 1930s. Mr.B.K. 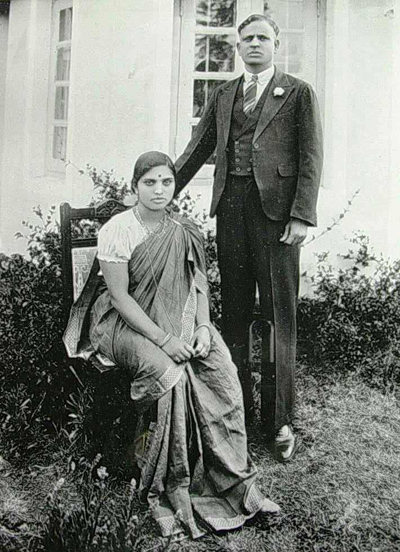 Bellie Gowder was one of the few educated Badagas who studied upto VIII in St.Antony’s School, Coonoor and completed his SSLC (School Final) from St.Michael’s High School, Coimbatore in early 1900s. 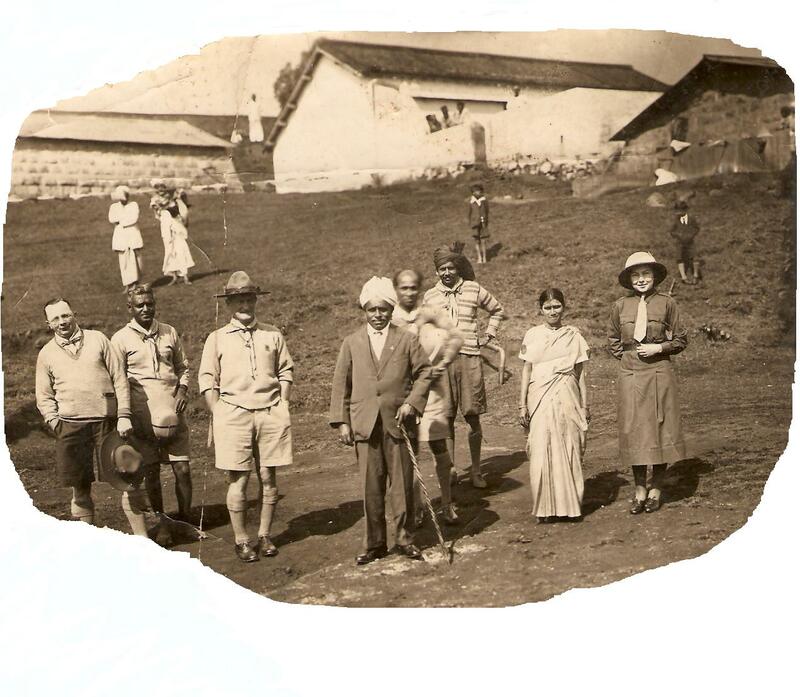 There was no ‘regular’ high schools in Nilgiris in those days. My father -Mr.BK Bellie Gowder in 1969 (just before his death). 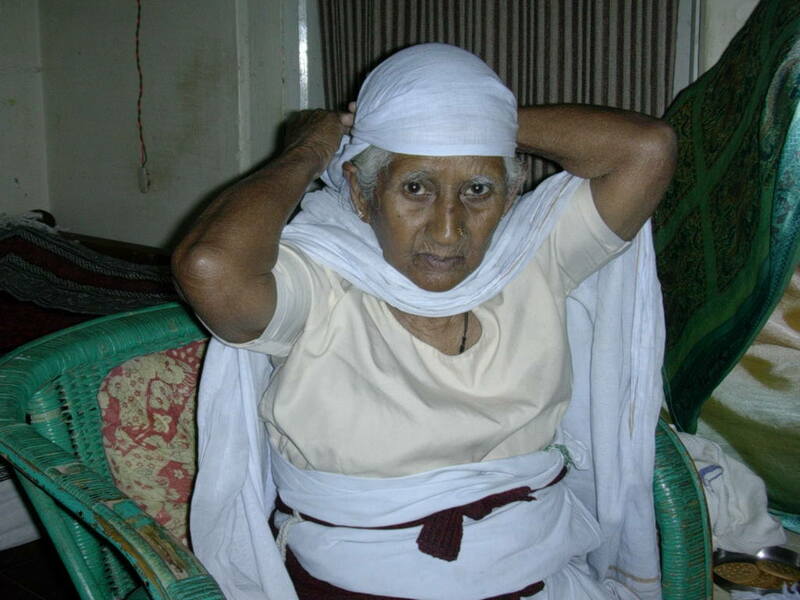 (Photo taken on her birthday on 02-09-2006 -probably one of the oldest Badaga ladies). Very nice to see all your work of art. Its not easy to hold all these information and to put all of us to understand our community. You should do more on concentrating with our old culture as well as our younger Badaga generation also to take part in all such great works to place our proud community to a high place. Great Collections. Thank you very much for exhibiting the rare ones. JP Anna, You have done a wonderful job, but with the generation gap I wonder how many badagas from younger generaton will take advantage. I only wish the parents instil the good old tradition and culture of Badagas to their children (especially those who live away from Hattis). I realy like Badaga. But you convert to other religion. Your photos are very nice keep up. Its beautiful..this is a great site to Badagas to know their history….and others to know about our community. 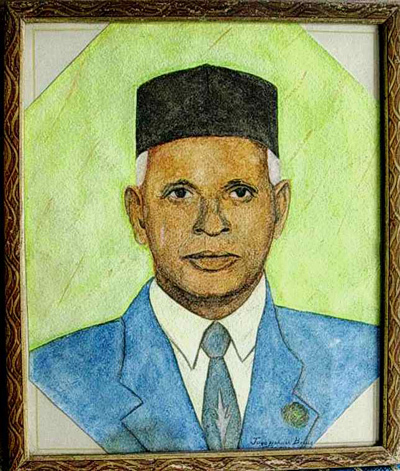 We are proud to be Badagas and like our past ancestors story. Never seen before. This tempts to know more about our culture. Great job, love to see more. 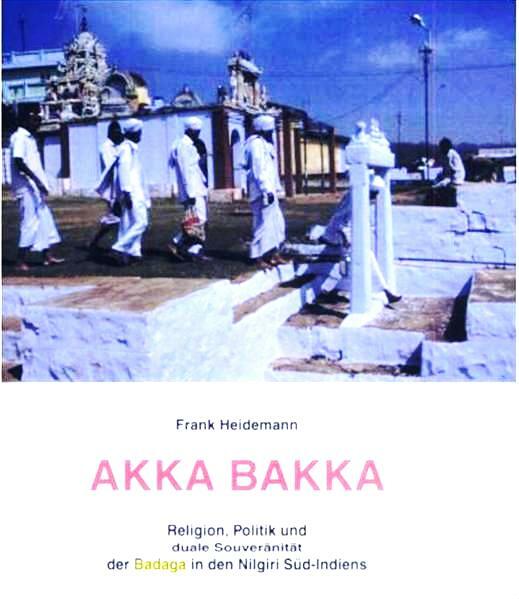 I am proud to be a Badaga…I just request our people not to convert to other religion….I hate such persons…I think that they make a great sin in their lives if they don’t know about our hethay and ayya. Your site is both informative and interesting. I am eager to get details of the Baduga elders who had contact with Swami Chidbhavananda of the Ramakrishna Tapovanam or any interesting news related. BADAGANA YESARA OLAGA EGUVA JENA SARE BANDHUBUTTA. BADUGA ELLAVU GAVAVA ATCHI, SIRI THUMBI BAPPATHU. AYYANA ESARA ETHI BADAGA KOLAVA KAAPA ELLAGU NANGA YETHAI AMMANU HERIYODAIYANU ASIRVADHA MADALI ENTHU VENDINE. Thanks for creating such amazing album and making this vision availabe to the world.As far as I am concerned, quite a few changes are happening on this Badaga culture. Enjoyed, Felt proud, Thanks a ton. 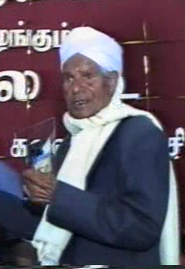 Nilagiri nanga Nakku Betta,nobody can beat us,I am very proud of my grandparents. Very rare collections Sir. Only due to lack of Literature and Inking we have lost a lot of our treasure. Very happy to see some out of those here and very happy that the current generation may not forget the old things when shown like this. I appreciate your effort taken for development of our community. Salutes to you Sir. Fantastic…Really superb…Badaga people always rock! Though I am not a Badaga,as a Culture and Law graduate,I would like to point out that to establish the actual origin of a community there must be some sources like,literal,stone inscriptions,hear say stories,even ref.in others area.So,if such things are detected more and more,in my opinion it will create and may even rewrite certain portion of HISTORY in particular the south indian history.Try for the best to reach the peak,though you people already at peak.My best wishes. 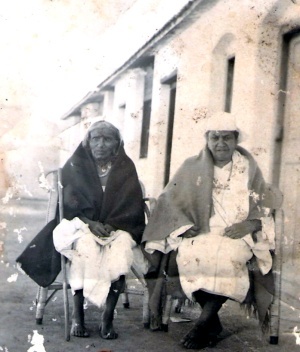 Great website!I hope more notes and photos from those days of Badagas,Nilagiris and the NMR can be unearthed.These could be available with the descendents of the English who worked with the badagas during those days. Thank you, Jayprakash sir, for giving such a wonderful photo collections. I am so proud to belong to our greatest and strongest community of BADAGAS.These pictures are really fantastic and awesome. Hatti Hatti suthilayu nanga BADUGA jena enthuvu OSATHI. Nanga culture enthu olanga aduvadhuga onthu sedhu padu paduvo..Last but not the least I love you all my BADAGA people, forever! thanks to the people who have collected and posted these pictures and its really nice to see them, thank you……. there are no words to say how amazing they are…..really very proud to be an Badaga …. Namaskara JP Anna,Very worthy photos for our community,I would like to see more photos in this site which can be useful for youngesters to know about our community. Thank you once again for your great efforts. Best wishes for you & your family. This is a wonderful job, rare collections, Proud to be a Badaga. I am very happy to see our historical details and photos. I wish you all the best for your excellent job to us know about culture. We really want to be proud to be a Badaga. All the best……. Nanga Baduguru yembudhu dhogay appra perumay padodhu….. You are doing a great job… so happy to know that our culture has developed so far…. 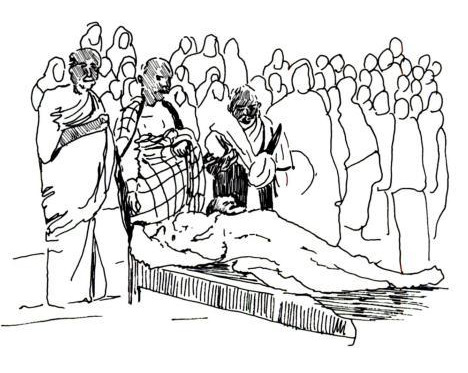 This is really great job….Now i came to know abt the baduga tradition…. [Y]our website is very good and nice. All the rare photos are very nice. Continue your service, we will support you. I am a director and having an ad agency and studio. I am going to release one video album very soon. I have many photographs of my own album and interested in displaying in this website. Exemplary work…feeling very proud about badaga…am speechless…amazing pictures…keep continuing…All the best. Being a Baduga guy I am really happy to see all these rare collections. I am really proud to be a Badaga guy. Please continue your wonderful work, let the whole world know about our community. Thank you. Presently,I am working at Bangalore. Just now I saw our Baduga great culture stills(pix) on this site, Ii am very excited, happy about these pictures..My friends are very much interested to see more baduga culture pics. Many thanks to those who have done this job well. Keep it up. Very Nice Work.I am basically Karnatakan WHY DON’T YOU TRY TO FIND OUT OUR ORIGIN AND THE BEST CULTURE. THIS SITE WILL HELP OUR YOUNGSTERS TO TAKE OUR COMMUNITY IN A PROUD WAY. PLEASE KEEP IT UP. VERY GOOD WORK. WHY DON’T YOU TRY TO FIND OUT OUR ORIGIN AND THE BEST CULTURE. THIS SITEWILL HELP OUR YOUNGSTERS TO TAKE OUR COMMUNITY IN APROUDWAY. PLEASE KEEP IT UP. RAVINDRAN RAMAN, KUNDACHAPPAI, 52Yrs. OLD. We are in Nilgiri hills since stone age. Nilgiri Hills is our Origin, which was ruled by many kings in the past such as Tippu Sultan, Krishna Deva Raya. proud to be a baduga guy…..good work ….. add more old photos……………………. Proud to see such a wonderful collection on THE BADAGAS. Let all of us extend our best wishes and a helping hand to maintain our great culture with high degree of co-operation. What an experience ,incredible work from a member of an awesome Badaga family. I saw the website which you have created for Badagas. 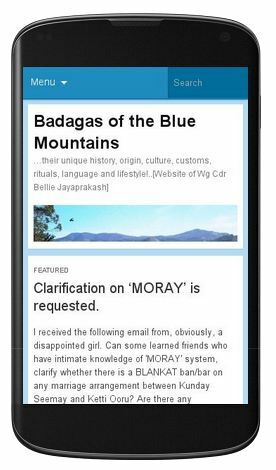 It is very useful for all the Badaga people’s to know their culture from the beginning……..
Really superb information for badaga community. I am proud to be a badaga. I am very happy to see those collections !!! Simply Superbb!! and… very proud of our community ! 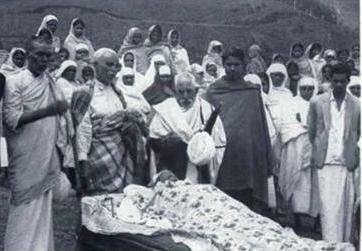 These images are perfect collection of the Badaga’s heritage. I am stunned to see these images and happy to know about our ancient Badugas and their life styles. Though I hail from a non Badaga community, right from my childhood, I am connected with Badaga Community as I did my Primary School at Manjithala, High School and Higher Secondary @ Govt. Hr. Sec. 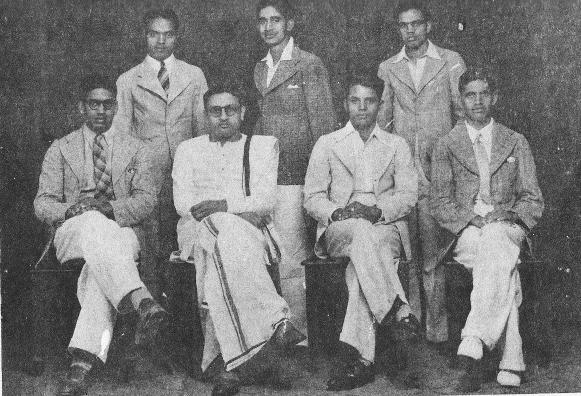 School, Hubbathalai and my Graduation at Govt, Arts College Ooty. All along my education walks, I had lots of friends from hattis. 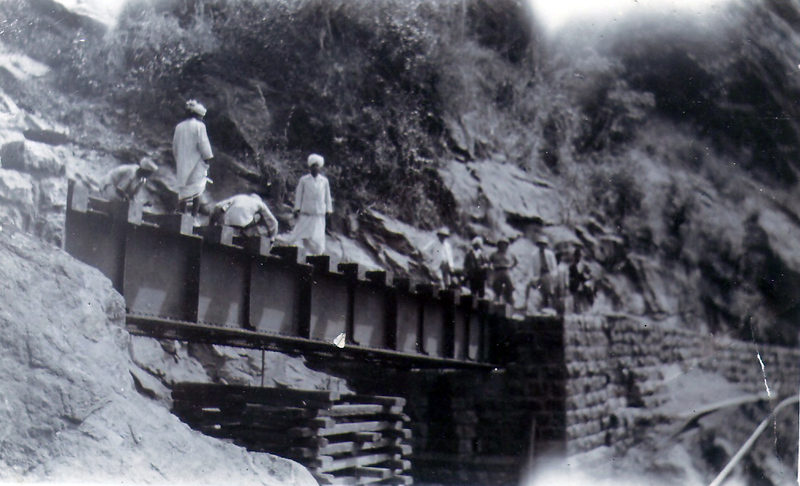 When I saw the pictures, I really had a feel of walking across baduga hatties with my old hatti guys. Good work. Well organised. Please update the site with more rare and oldest pictures. Keep it up. Words are not enough to praise.Good Work….many would know the path of our ancestors from this site. This is awesome stuff JP sir. I would like to express my sincere gratitude for the efforts & hardwork you have done to showcase our community to the world through this website. It’s hightime to open a Badaga Museum in Ooty. I am sure we can make this happen with the support of all the like minded people. 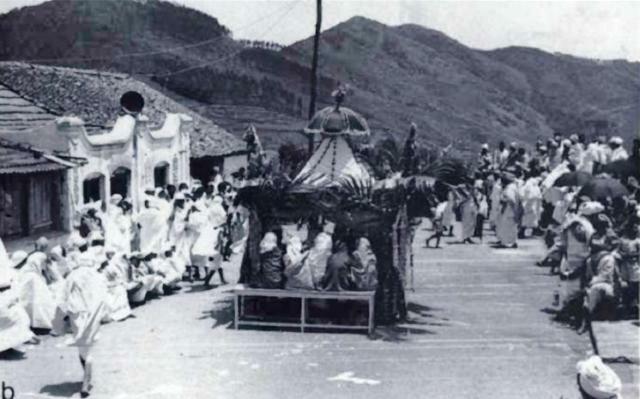 BADAGAS = Hospitality :I am proud to be a Baduga … all the above pics depicts the culture and the discipline and the hospitality to one and all ….. still the way led by our ancestors should be continued as of now …. and our culture should be exposed to the world and our community should have no limits to reach the sky . My eyes are really wet after seeing all the above photos and the comments from our people…nothing else to say, since everything is already commented, Great job ,eager in meeting you soon – BADUGA ! I am very very glad about such a wonderful site about our Badaga community … the efforts of author of this website really needs to be congratulated… you guys have taken our community to the next level … congrats to everyone associated with this website … may your work continue for long time ! 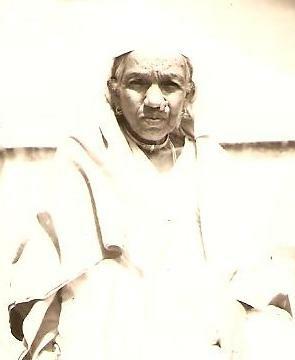 அன்பு நண்பரே வணக்கம். 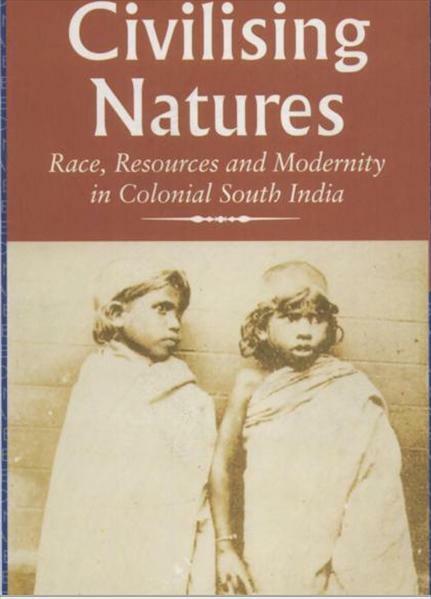 இந்த தளத்தில் உள்ள மிகவும் அரிதான புகைப்படங்களை கண்டதில் மிக்க மகிழ்ச்சி. 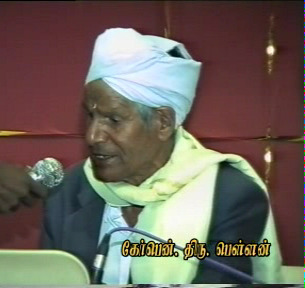 நீங்கள் வரைந்துள்ள ஓவியமும் மிக நன்றாக இருக்கிறது. 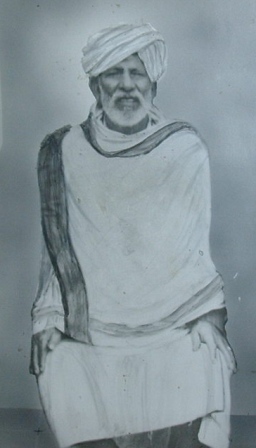 தொடர்ந்து நீங்கள் ஆற்றி வரும் பணி மிகவும் பாராட்டத்தக்கது. நாம் படுகர்கள் அனைவரும் தங்கள் வீட்டில், குடும்பத்தில் குழந்தைகளுடன் படுக மொழியை பேசுவதை கட்டாயமாக செய்யவும். அதனால் நம் மொழி என்றும் அழியாமல் இருக்கும். நண்பரே இந்த தளம் வோர்ட் பிரஸ்ஸில் உள்ளது. ஏன் நீங்கள் தனியாக ஒரு நிரந்தர தளத்தை உருவாக்க கூடாது. அது மிகவும் முக்கியம் என படுகிறது. உங்களுடன் கைக்கோர்க்க அனைத்து படுக நண்பர்களும் தயாராய் இருக்கின்றனர். We are trying to build a casteless country , please don’t go to the premitive stage again. 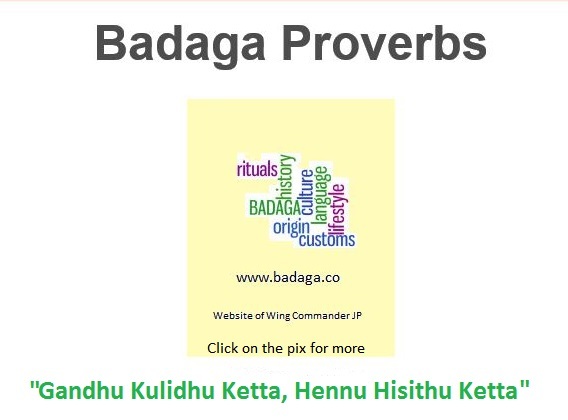 Really amazing website….being a Baduga girl….I didnot know the history of our community….really I felt ashamed when my friends ask about our Baduga community….now I feel proud to tell them that we have a website which has songs ,traditions, amazing photo galary, proverbs etc. Good work…. I just want to know if we people migrated from Karnataka during Tipu sultan’s period? Thank you Sai. I am very happy that youngsters like you are learning about our community with all its great traditions. Well, as far as our migration from Karnataka during Tipu’s time only because our name Badaga (meaning northerner) is very debatable. I am firmly of the view that our history is much older- may a thousand years or more – and my initial ‘research’ confirms that. More in the future articles…Wg Cdr JP. I feel proud to be a badaga. All the photos are really amazing and i just want to thank the person who has done this wonderful job. Very much impressed with badaga civilisation.I am trying to learn this language.I don’t know whether I will be able to leanr or not. In my next generation I would like to be born in a badaga family. JP adds ; That is wonderful. Thanks for your sentiments on behalf of the entire community. Amazing ,Awesome I have no words to say, ‘cos I am from Hubbathalai (brought up from the age of 5)and really very much impressed to see all the great photos. Hat’s off to you !! Great Work, I wish to tell all my friends about this site. 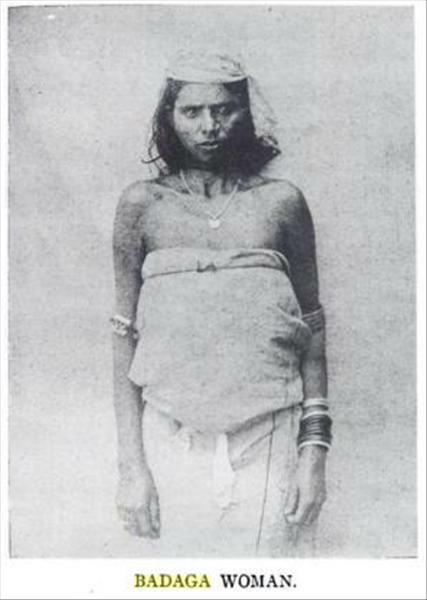 I doubt the photo of BADAGA WOMEN ” Badagas and Irulas of Nilgiris”, It looks like the photo of Irula women, the bangles, dress & chain resembles Irula women. JP adds : Thank you, Kannan ! I am really astonished by the website. I was just checking the search engine cuil.com and typed badagas and I got this website. I am really proud to see the photos. Even in 1880 our people appear to be doing well , having taken photos with the Britishers I think we were only friends with them, not their slaves. I find it difficult to digest that we were under their rule because in the photos we see the friendship with them.I came across many nice articles about Badaga. I am proud to be a Badaga. I also wish to congratulate you to bring such a good website about our community. All the best. I will tell my friends about this website. JP adds ; Thank you very much Sudhagar, your kind words are very encouraging ! Its really a wonderful work…….believe me, being faraway from home the website gives me a feeling that world is too small..I have no words to express my feelings when I go through when I’m on the site.It has been a every day routine to just go thru. Can u send me the PDF format of the book? JP adds : I am really honoured as well as humbled. Thank you. Are you referring to PDF format of Hethai Amman History? For a cracker to burst on a big festival, there should be some spark from somewhere. I appreciate from the bottom of my heart for this fabulous work. 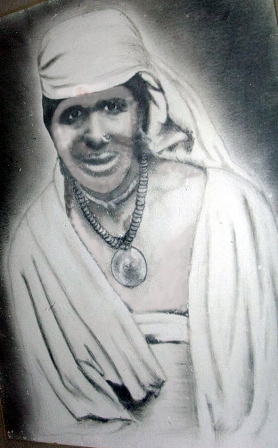 Hetthai Amma is always around us to bless badaga people, our culture and community will never die….singaratha seeri ! Excellent.. Very useful for the future youngsters. Please continue this terrific job. I appreciate the effort for creating this wonderful website. Wish you all success. Good luck. Great Job. The site is really AWESOME. Please continue this wonderful job. oh… i never saw such gr8 photos in my life. be proud 2 b a BADAGA…. …..ITS GREAT TO SEE THESE RARE PHOTOS. IT WILL BE BETTER IF WE CAN KEEP UP THE SAME SPIRIT WHEN IT COMES TO SAFEGAURDING OUR CULTURE…..WELL DONE……. A real visual treat. Great to see these pictures. They are truly priceless. 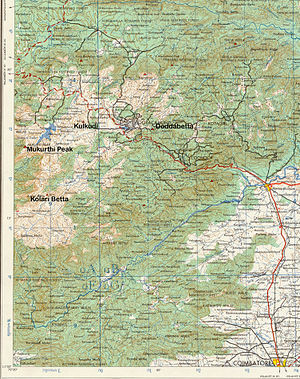 My early childhood and education was in the Nilgiris. I have travelled by the train many times. Great to see the pictures of the railways. This is really wonderful and we would like to congratulate on bringing out these rare photographs of our community which would help us to teach the generations to come in a long way. Real good work. Hats off. Very surprising to see these things..Please give information about kukkal Hethai…. Grrrrreat work…So happy to see all the photos and really proud of Hubbathalai as I to belong to the same village. Hats off to you. This is great.Thanks a lot for all this info.Keep up you great work. I am speechless to see my ancestors in their traditional setup . Thats great. First time seeing this. Feeling happy to see this. This site is an ‘one man effort’….unfortunately not many come forward with their contributions about Badaga. Earlier one Surendran also complained about this site being ‘too Hubbathalai based’. Hope to ‘spread my wings to all parts of Nilgiris’ and add more and more. Kudos to all involved !!! Thank you Prakash, encouraging words like yours,are the motivating factor to give more. Hope to add more …pretty soon ! i am impressed,very impressed,you made me home sick………i am far away from home.will wait for more to come from you. JP adds: Thank you Prakash, encouraging words like yours,are the motivating factor to give more. Hope to add more …pretty soon ! Hi, ALL YOU FOLKS who have such kind and encouraging words to say. I feel really humbled. Hope with all your kind cooperation, we will bring back the great glorious days of our Hethes & Ayas. Hi Shanmugamraju, thanks again for those wonderful sentiments. in the year 1972-1977. The I left to Erode. I want to see my friend Mr.srinvasan. Any one can help me out? I and Srinivasan were very close friends and did schooling together at KEDDAI, near MANJOOR, Kundah in the years 1972-1977. Then my father got transfered to Erode. I want to contact my friend. Can anyone can help me out? I hope this wonderful website will help. Its really a wonderful work…….belive me, being faraway from home the website gives me a feeling that world is too small..I have no words to express my feeling I go thru when I’m on the site.It has been a every day rotuine to just go thru. Really nice sein such old memories (photos). 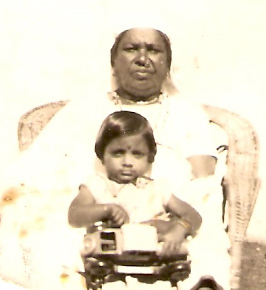 recollecting my oldern days with my grandpa & grandma…. but one question….what about the present snaps and collections ? I am excited to see these pics. 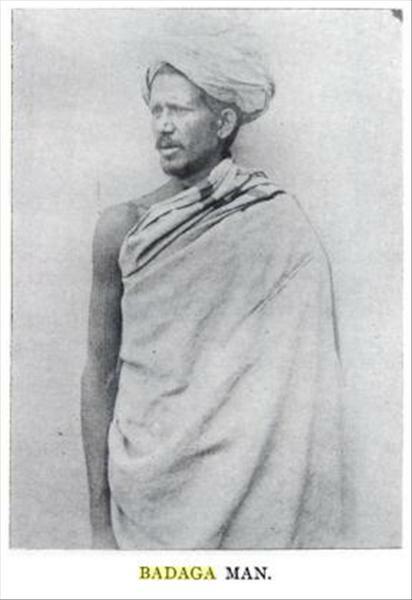 Great collection of rare photos, history and description of Badagas. Excellent work…These pictures are memorable…………….. Excellent collections! please keep it growing..!! May Hethai’s blessings be showered on all! I ‘m excited to see these pics. Thanks for organising the contents and providing the links for all related sites. Nice work…! 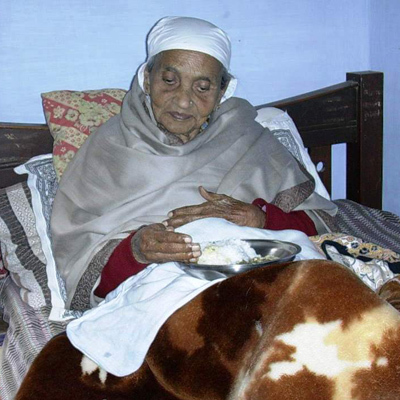 May God bless you with good health and long life to keep up the good work. Thank you very much, Badugu Thamma. How wonderful it would be if every Badaga keeps/retains a typical Badaga name, say like Bhoja/Bella or Kaade/Kaangi, so as to maintain ‘nanga kalachara’ !! It is really interesting (to see these photos). I am a Badaga. Happy to see my great community online. I too would like to do something for my community. NA ELLA GU VENDI KEETOOMBUDU ENANDALAE NANGA GOSU MATU ADUNEGA BADUGUDEGE AADU VO…..EKANDALAE NANGA MATTU TA AA MATA ADUDHUGA MUDADHARA…..ELLANDALAE NANGA VODA NANGA BADAGU SAMUDAYAVEA MUDUDHU OOITRA….. This site is an ‘one man’ effort to do something for the community. Proud to be a Badaga & Proud to be an Indian. The picture collections are excellent…I really appreciate …Good job, I wish you all the best. Hope people like you will join me in making our great community keep its glorious culture and customs. I am very excited to see these pics.There is no words to write my feelings. Great Work. Ninga Makkai Hattiga Obba Idhalai Pothu, Nanga Baduga Samthayava Munthuga Ethi Bappathuga!! If younger generation like yours can appreciate this website, then I can claim that I have achieved something. Very much informative for the current generation like mine. Keep Going! Wonderful collection of articles about our culture. I was wondering if there was any effort being made to conserve our culture and traditions. I see a lot of disturbing customs like dowry and such starting to develop that are not ours and are starting to kill our system. Yours is a great effort and keep up the great work. Would love to see more in future. I have some videos of hettai abba that I’ll post a link to very soon. JP adds: Hello Meenatchi, As I have always claimed elsewhere, we Badagas are slowly losing our identity as simple, straight forward and strong believers of our great traditions. Anyway, it is the encouraging words from people like you that make me more determined to do something for our community that was initiated by my grand father Rao Bahadur Bellie Gowda and uncle Rao Bahadur Ari Gowda. I will be grateful if you can send me the vedio link to Hethai Habba. Great! Great!! GREAT EFFORT. INFORMATIVE TO ALL BADAGAS. Keep it up. Impressive …!I ‘m excited to see these pics. Thanks for organising the contents and providing the links for all related sites. Nice work…! May God bless you with good health and long life to keep up the good work. JP adds : Thank you ever so much for your truly encouraging words. May God also bless people like you who have big hearts to pray for others. Thanks once again. This is great.I love to see more. Priceless pictures; some of them very interesting. It is like an online museum 🙂 Keep up the great work! JP adds: Thanks a lot, Naveen. Your encouraging words are indeed great motivators. Your site is great. I am sure your efforts will enlighten people like me about our past and our ancestors. It is a good way to felicitate the great people who managed so much with so little. An effort that needs an applause. Great job. Please keep the good work so that the present generation like me would know how my ancestors lived. JP adds: Thank you, Mala. Aren’t you surprised that Badaga (both people & language) is one of the most researched topics in the WORLD ? Its great to see these rare collections. Keep up your good work.